The Dota community (and Valve) went to sleep around foretasted rumors of players being banned from the upcoming Dota Pro Circuit Major, and they woke up to a confirmed ban on Skemberlu and Kuku and an international storm of hate and anger. While these players don't deserve to have their mistakes paraded across every article again and again, it is important to understand the backstory behind this ban. Skemberlu used a racial slur during an official DPC Minor event (the recent DreamLeague Minor) and both immediately apologized and was quickly sanctioned by his own team. Complexity immediately issued a statement and addressed the issue - as is the mature response (and honestly one that was lacking until the past year or so in Dota). Skemberlu was also released from Complexity following the DPC minor due to US visa issues and his behavior at the tournament. Unfortunately, this wasn't the end. Kuku, the offlane player for TNC, used the same slur in a pub game. LGD refused to scrim with TNC and Kuku tried to issue a statement saying that the player's ID was actually the slur. It was quickly noted that the player in question had actually changed their ID following the game and Kuku had lied. TNC's manager took the fall for the incident, stating that he has been the one attempting to cover it up. There has always been a healthy "West vs East" rivalry in Dota - especially when TI season comes around. Recent events have drastically altered that dynamic. Over 6000 negative reviews from the Chinese community slammed Dota 2 on steam while Burning reached out to Valve directly to address the issues. Burning pushed Valve to lay out clear rules for racist incidents. Valve responded that they believed Complexity had handled the Skemberlu situation appropriately and they would be speaking to TNC about Kuku. Valve also then (finally) released an official statement condemning hate speech and racist behavior. Their statement came over a week after the initial incident, giving the community time to build animosity and raise tensions even further. Valve's statement seemed like the end, but in typical Dota 2 drama - it was honestly only the beginning. With only five DPC Majors this year, every event is crucial - and every event is looking compromised. The Kuala Lumpur Major saw NiP without their full roster as Neta “33” Shapira was unable to obtain a visa due to his Israeli passport and Malaysian restrictions. Very disappointed about not being able to compete at the major. I hope Valve will do their best to ensure that in the future there will be no such restrictions on which countries are allowed to participate in official DPC events. 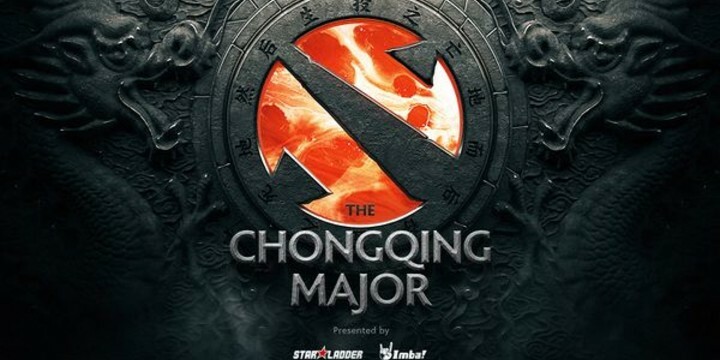 The Chongqing Major now threatens TNC's ability (and any team that Skem had hoped to join) to compete at their full strength. Even if these players were allowed to compete, their personal safety is in question after the deluge of hatred and threatened violence that has spilled out during these incidents. It is important to note that when player safety was threatened in the past (Galaxy Battles) - Valve stripped the organizers of their DPC status and pulled their funding. The organizers for The Chongqing tournament initially proposed multiple locations for this major and have successfully organized several CIS events. Unfortunately, Valve may not have the same freedom with this Major as they have in the past. TI9 will be held in Shanghai, a deal Valve has clearly been working on for some time and they may need to treat their Chinese audiences (and partnerships with local government) carefully. What does this mean for The International 9? This ban could extend all the way to TI 9 - and honestly even further if China is given the power to make unilateral decisions over Valve. Valve has typically taken a hands off approach to Dota, waiting until the situation becomes nuclear before stepping in. If they allow these bans to exist, they can fuel the fire for different countries to retaliate, escalating until the concept of international tournaments and competitive integrity is destroyed. Unfortunately, if they try to control China, they could lose one of their biggest audiences and cripple Dota in the process. These issues challenge the fundamental idea of the International, a tournament that has always brought the entire world together united in passion for the one game we love. Valve need to act soon, but they have a challenging decision ahead of them that involves several meetings and conversations with organizers (and potentially government entities) to attempt to mediate. While we would love an immediate response, the reality is that Valve will spend the next several weeks attempting to address these issues. The community will likely be left in the dark to speculate as opinions snowball. As the community moves forward, we have an obligation to remember that at the core, we just want to play Dota. We are a world united by this game. Dota is a game to love, to hate, to obsess, and to celebrate together. It always has been, and I hope it will always continue to be.